This "gripping and informative" (Publishers Weekly) account of financier Charles Hurwitz's takeover of the Pacific Lumber Company (PL) in remote Northern California is as much a story about the struggle for the soul of capitalism as it is about the fight to save the ancient redwoods on the company's lands. For generations the family-owned PL had operated on the banks of the Eel River in Humboldt County under the principle of long-term sustainability over short-term profits: employees were treated respectfully, and no more than seventy percent of old-growth redwoods would be cut in order to give the forest time to reseed. 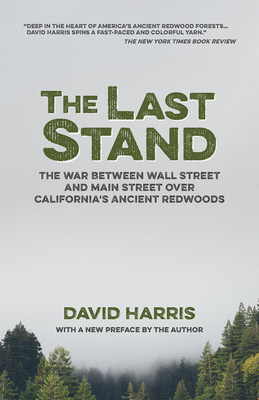 David Harris skillfully combines a journalist's astute eye for detail and an activist's moral outrage with fast-paced, thriller-like writing to chronicle the drastic changes that came to not only a corporation but its employees' entire way of life when the PL was bought out by a Texas-based conglomerate--whose greed-fueled destruction of the redwoods ultimately doomed the enterprise.